Ambient Heating & Air Conditioning Inc. employs a team of friendly and knowledgeable service professionals who are experts in energy saving preventive maintenance services, emergency repair services and heating and cooling system installation and replacement. 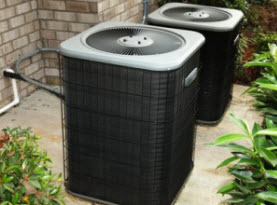 We have been serving the heating and air conditioning needs of Hampshire and Hamden County, Massachusetts home and business owners since 2003. And our owner has over 25 years experience! We are a family owned and operated, fully licensed and insured HVAC company dedicated to customer service and the highest standards so you know you are getting a reputable heating and cooling contractor when you call on us. Our mission is to deliver the most comfortable and clean indoor air possible to your home. We service all brands of equipment but our preferred brands are American Standard, Buderus and Munchkin. Ambient Heating & Air Conditioning Inc. is a locally owned heating and air conditioning provider in Hampshire and Hamden County Massachusetts. 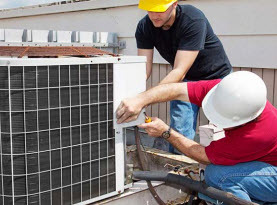 We are committed to excellence in every aspect of the heating and air conditioning business. From installation and service to customer satisfaction and employee training, our company is dedicated to providing the very best in the HVAC industry. 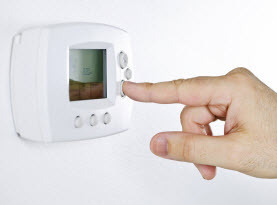 We offer a wide range of heating and cooling services including product installation, repairs and maintenance. 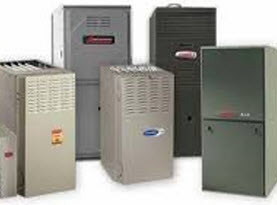 Our factory trained technicians can repair and service any make and model of heating and cooling equipment. We also offer HVAC accessories such as indoor air quality systems and temperature controls. Whatever your heating and cooling needs, whether it is a system installation, an ac repair or furnace repair, or service maintenance, we are the right company to take care of your needs.